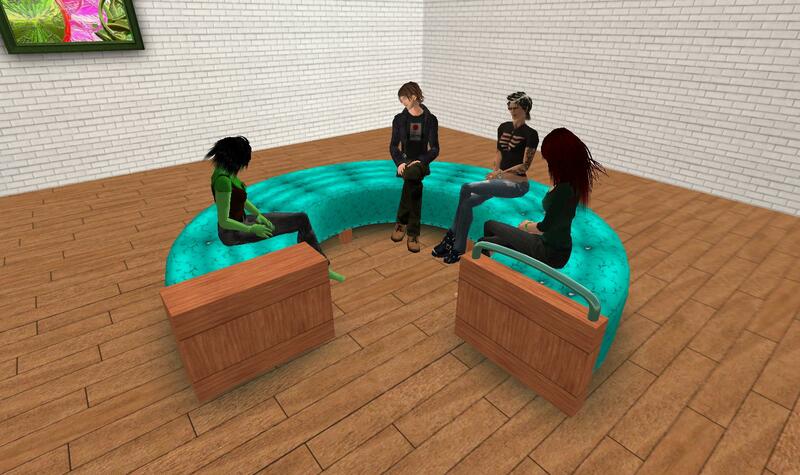 Three months ago, Ivanova and myself started to talk about creating a furniture business in SL. On March 27, we paid the first rent for our workshop, and in those last three months we were very busy making concepts, building prototypes, working on textures and designs, making budgets, discussing prices etc. And now, finally, we went live! Last night we uploaded 24 versions of the “San Jose” couch to our OnRez and SLX storefronts, and this morning we set them live. And soon the workshop floor will be converted to a store as well, so the furniture can be bought in-world as well. To start with, we have 12 designs for the San Jose’s, named Anthracite, Cotton, Denim, Green, Jade, Mint, Ocean, Poppy, Red, Royal, Suede and Velvet. Each design features fitting wooden endcaps, and a metal handle. It seats up to 5 avatars, and randomly selects one of 3 poses (by Pillow Talk). The seating order is left, middle, right, middle-left, middle-right, but sitting on the endcaps places you directly to middle-left or middle-right. We tried to make the seating as natural os possible, and there’s a lot of subtle random details in the seating as well. Right now, there are two versions of the San Jose. The no-copy/transfer version will be sold for 350 L$, and is perfect as a gift. For 800 L$ you get a copyable version, which in turn is not transferable. All models are full mod, so you can tweak the hues or add custom scripts inside. We would advise you however to not modifiy the scripting component unless you have a copyable version. 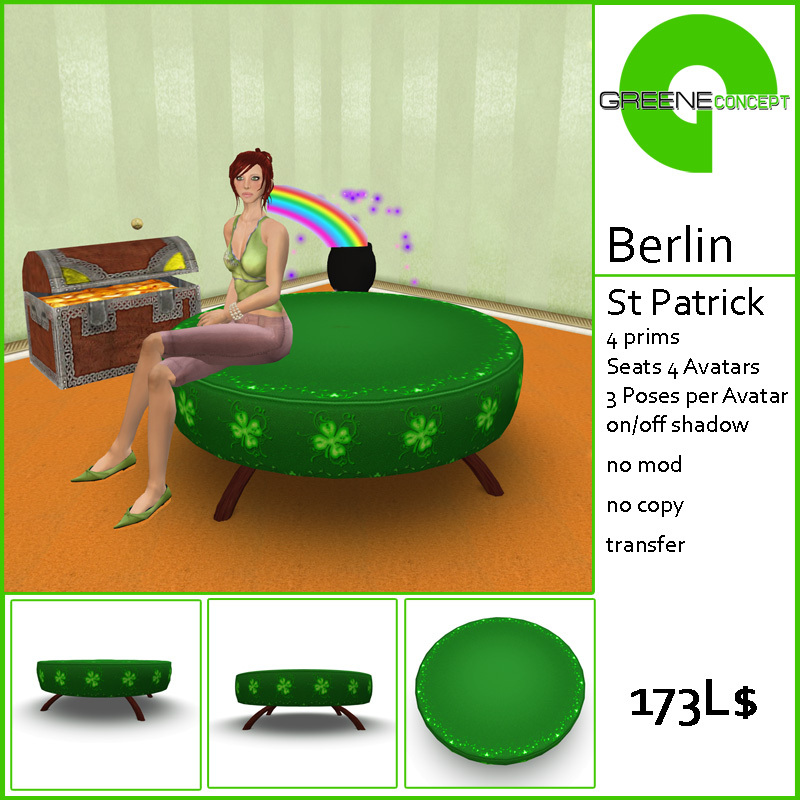 The San Jose’s are available at http://slurl.com/secondlife/Beachwood/174/204/60 as well as on OnRez and SL Exchange. SL rotations have been quite mysterious to me. Their specific relevance to me is in the fact that they are used as a llSitTarget parameter. In my studying of them (and related topics) I have learned what radians are, and grads, and the relationship between radians, grads, degrees and your garden variety circle. I am beginning even to glimpse why rotations are used in SL instead of just using degrees in a normal vector (I mean, I understand vectors), though I have no idea what gimbal lock is. My understanding of SL rotations, as given in the LSL wiki is thus: The rotation is composed of four floats. The first three floats can be thought of as a vector, which I guess means that, in essence, they are a vector. So those first three floats describe, in radians, a direction in space. One radian is equal to 180 degrees divided by PI, or 57.296 degrees. The first trick is to understand what a radian is and how to use it. Then to know that the fourth float describes a rotation around the direction (as an axis?) described by the first three. These are all the words. I have yet to put them together into a clear mental picture of how a rotation works. Bah! This is all just an invention anyway, to help us understand why the toast always lands jam side down.